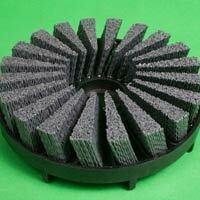 We are known for offering a wide range of premium quality Abrasive Disc Brush. 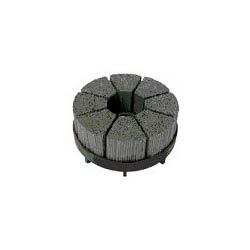 The Abrasive Disc Brush offered by us is used for several applications like edge radiusing, improving texture characteristics on machined or ground surfaces and deburring flat machine surfaces, punched components and face-milled castings or forgings. The entire range of Abrasive Disc Brush is known for its durability, sturdiness and usefulness. 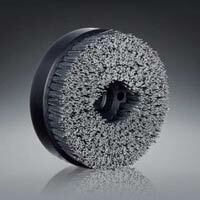 Our brushes are maed with 100% DUPONT TYNEX A filaments. Vast product range variation in filament material, #80 to# 320 std grits, coarse grits and fine grits, size, and shapes to cater each individual need separately Adaptable to all standard machining centers viz. 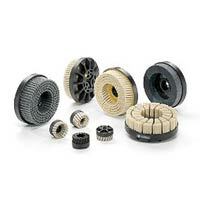 VMC, HMC, FMC, CNC,planetary heads deburring m/c and Robots & Automation to suit the standard holders. 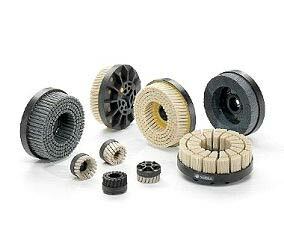 DISC brushes are particularly suitable for DeBurring, burr generated by milling cutters, fine blanked products on any flat and sizable recessed components made from any metals, non-metals and composite. Remove or reduce the Milling marks. Filament Dia. 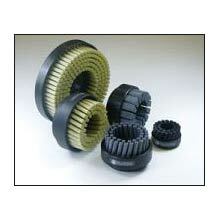 : It varies Depending upon grit and filament type . 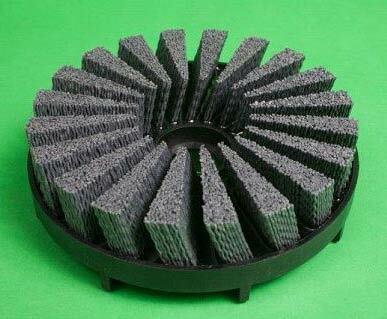 Normal standard grits of Silicon carbide are available in 0.5 to 1.4 mm thickness as a Standard & Non Standard on Request.